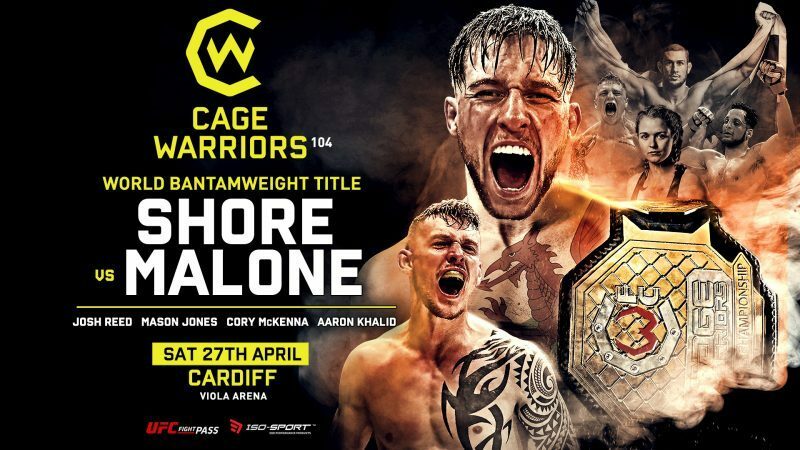 Cage Warriors Bantamweight Champion Jack Shore will make his first title defense against Scott Malone at Cage Warriors 107 on Saturday 27th April at Viola Arena in Cardiff, Wales. The promotion return to Wales with a stacked undercard filled with local talent. 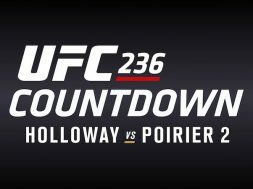 The card will be streamed live on UFC Fight Pass. The undefeated Jack “Tank” Shore (10-0) returns to the cage after winning the Bantamweight title in front of his home crowd at Cage Warriors 100. Shore defeated the previously undefeated Mike Ekundayo to capture his first world title. The Welshman has finished 9 of his 10 professional bouts in Mixed Martial Arts competition. Scott “Boom Boom” Malone (6-1) earned his title shot with a first-round submission against Shore’s teammate Josh Reed at Cage Warriors 100. 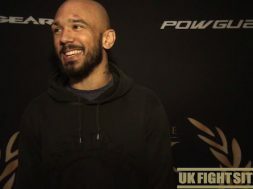 Malone also stopped the highly touted Adam Amarasinghe at Cage Warriors 98 in Birmingham. Scott’s trains out of Shooters Dundee in Scotland but spent part of his training camp at UFC Hall of Famer Urijah Faber’s Team Alpha Male in Sacramento, California. Check out the great Cage Warriors promo below. The undefeated Mason Jones (6-0) will take on Donovan Desmae (12-5) in the stacked Lightweight division. Mason will likely be considered for the winner of the title bout between Jack Grant vs. Jai Herbert if he gets pass Desmae. Former BAMMA Middleweight Champion and UFC veteran Tom Watson will make his promotional debut against the surging Aaron Khalid. Watson will be making his debut at Welterweight after being out of action since 2015. Cory McKenna (2-1) will return against the 2017 IMMAF European Champion Fannie Redman. McKenna is currently in training camp at Team Alpha Male. Redman (1-0) holds a black belt in Judo and runs the Kampsportslabbet in Stockholm, Sweden.